JVC showed off their consumer 3D camera at CES and most expected it to be priced at around $2000. Well it looks like JVC shaved off a few hundred bucks while still providing a great lineup of features. The GS-TD1 sports 64GB of built in storage while still offering a SDXC card slot. It also features a 3.5″ glasses-free 3D touch panel LCD, f1.2 twin lenses and JVC’s own BIPHONIC audio technology to reproduce 3D sound. Find out more on JVC’s website. I want to thank you for the efforts you have contributed in composing this blog post! 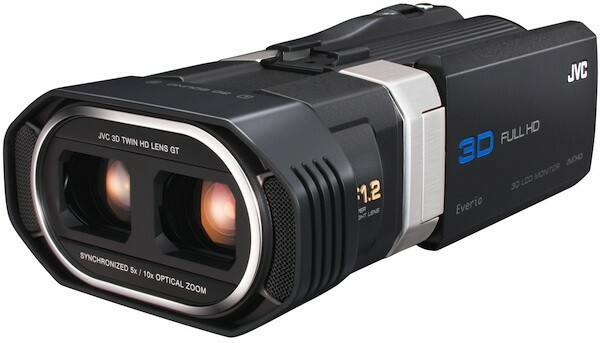 I feel strongly about it and enjoy learning more on this topic.I purchage a JVC GS-TD1 Full HD 3D Camcorder from http://www.electronicbazaar.co.nz/ and that’s a nice deal.